The historic flooding that has been devastating the Midwest may be just the beginning of an ongoing trend. Last week, the National Weather Service released the flood predictions for 2019, and it does not look good. Toward the end of spring, the flooding could spread to over two-thirds of the United States, causing more record-breaking damage. The vast majority of rivers and lakes in the Midwest are at elevated levels, increasing the likelihood of flooding over the next few months. This includes the Missouri River, the Red River of the North, the Mississippi River, the lower Cumberland River, the Tennessee River basins and the lower Ohio River. “This is shaping up to be a potentially unprecedented flood season, with more than 200 million people at risk for flooding in their communities,” the NOAA’s National Water Center’s Ed Clark explained. According to Grist, the floods this month have cost the Midwest around $3 billion in damage, and those estimates are expected to increase. The flooding was caused by heavy snowfall over the winter and excess rainfall in early spring. With rain accumulations this spring set to be at an all-time high, the over-saturated ground will lead to more devastating flooding. This is one reason why the lakes and rivers are already at a breaking point. 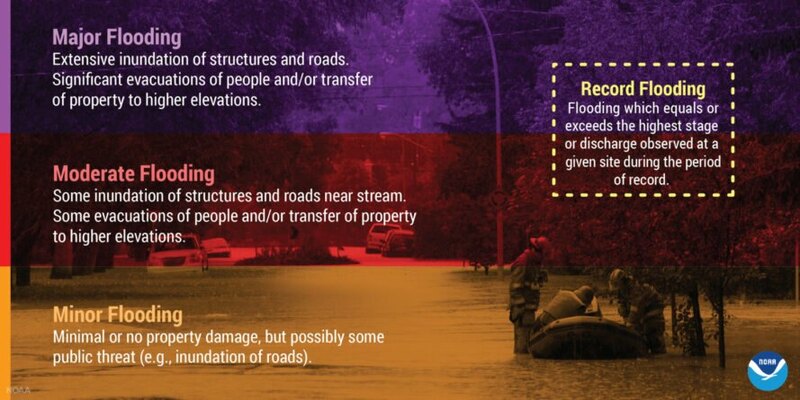 Unfortunately, there is not much anyone can do to prevent the flooding. The situation is only going to get worse over the next few months. 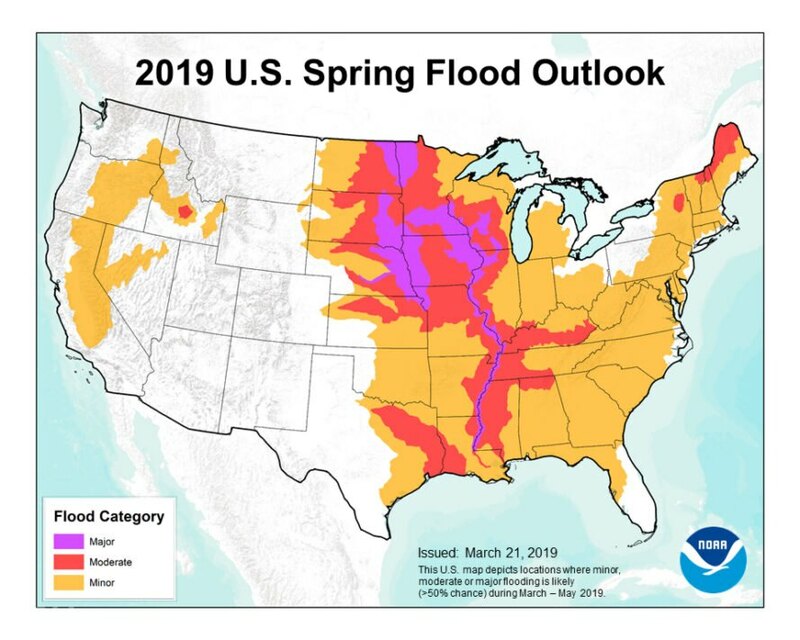 NOAA predicts that additional melting snow and future rainfall will lead to flooding in the Midwest — and it will be even more widespread than what Nebraska experienced this month. As a reference, the 200 million Americans that could be affected by the flooding represent close to 60 percent of the population of the entire country. With flooding expected to continue throughout the spring, the Federal Emergency Management Agency (FEMA) is advising people to make sure they have the right insurance to cover flood damages. Normal home insurance policies typically do not cover flood damage, which is sold as a separate policy. FEMA also urges individuals to keep an eye on weather reports and flooding alerts, so they can be prepared for when disaster hits.